Technology in the classroom is both the present and future of education. 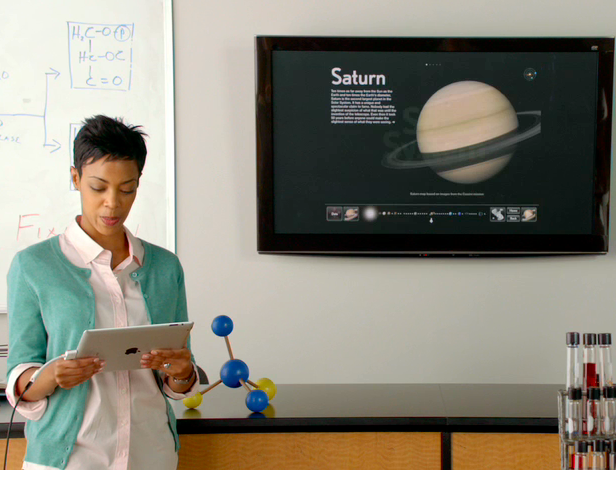 Incredible new learning tools, especially iPads are exploding into schools. Now a days kids are growing with technology. My two and a half year old niece loves to play on her mommy’s iPad and watch Dora the Explorer and Elmo on YouTube. Since technological learning tools are what kids are used to and have many proven benefits, the demand for technology in the classroom is high. But before your school dives right into implementing some of the amazing classroom technology that’s out there, there are a few things you should consider first. 1.) What are the current needs of my classroom? Who will be using the classroom? K-12? Higher Education? Obviously the types of displays and learning tools will be different here. What is the physical size of the classroom and how many students will it seat ? For example, you may need multiple displays installed to ensure every student has adequate view of what the instructor is teaching. 2.) What learning tools are used most often by your instructors? Every instructor has their own teaching style. Some instructors have embraced the use of today’s teaching tools, such as the iPad, while others aren’t ready to dive into the pool of technology just quite yet, which is just fine. We embrace the needs of the teachers, and address them in our classroom technology solutions. This allows teachers to gradually blend their teaching styles with the advances in technology, for the best possible learning environment. 3.) Will students need to interact with each other to solve problems? this works is each student group can be equiped qith a laptop or tablet to do thier work. Each of the student groups can be given a particular display in which to show their content and when they have it all worked out on their device, with the push of a button their work is on displa on thier particular assigned display. 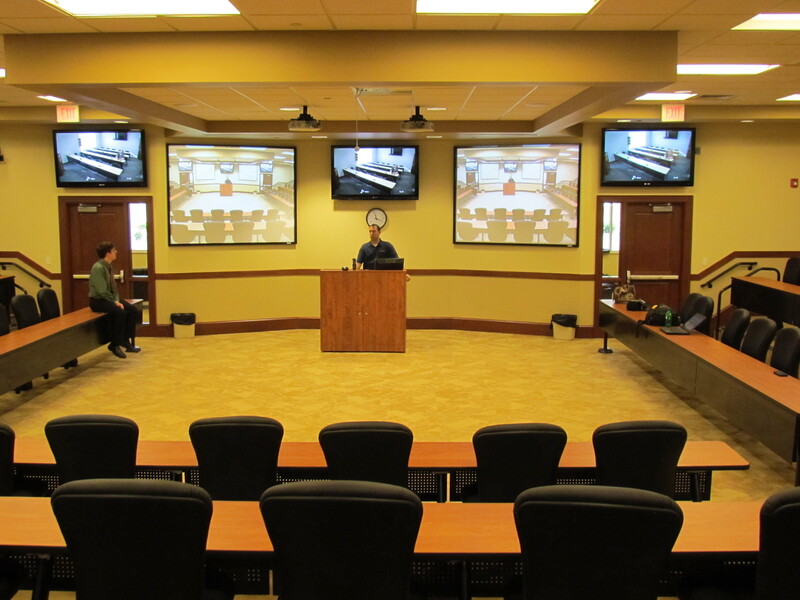 Another way the room can be designed to allow students to interact with each other with classroom technology is through the use of a Video Teleconferencing system. By installing particular cameras, microphones, and monitors, students at your local school or university, to interact with other schools located around the globe. These are just a few of the many important things to consider before installing classroom technology. Implementing technology into the classroom can be very exciting and beneficial to both teachers and students, but to those in charge of deciding what to install and how to do it, it can be a daunting task. We can help make this scary task seem a lot easier for you. SecurEdge Networks provides planning, deployment, and design for school wireless networks as well as installing types of audio and video technology in the classroom. For help with deciding what classroom technology to install and how to begin contact us with any questions or for a Free Consultation! We are happy to help! You can also download our free school wireless design guide too. Good luck!